Which states invest best in their young children, and which pre-K programs have proven most beneficial to help children close the gap with their more advantaged peers? That’s the question the National Institute for Early Education Research’s (NIEER) State of Preschool yearbook aims to answer each year. NIEER’s newly released yearbook is the only national report on state-funded preschool programs. The 2017 report also includes a special section on policies affecting dual-language learners, and highlights changes since 2002, when NIEER began tracking state pre-K. The dataset includes detailed information on student enrollment, teacher qualifications, and policies related to quality––such as the presence of a qualified teacher and assistant, small class size, and low teacher-to-student ratio. The Foundation’s Education program has supported Rutgers University’s NIEER since 2013. 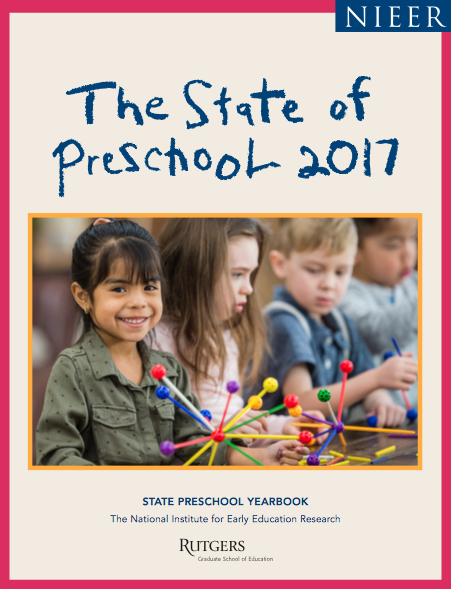 The yearbook provides an important dataset that is a widely used resource among state advocates and policymakers in the early childhood education field. We invite you to read the 2017 yearbook here, and all past yearbooks here.